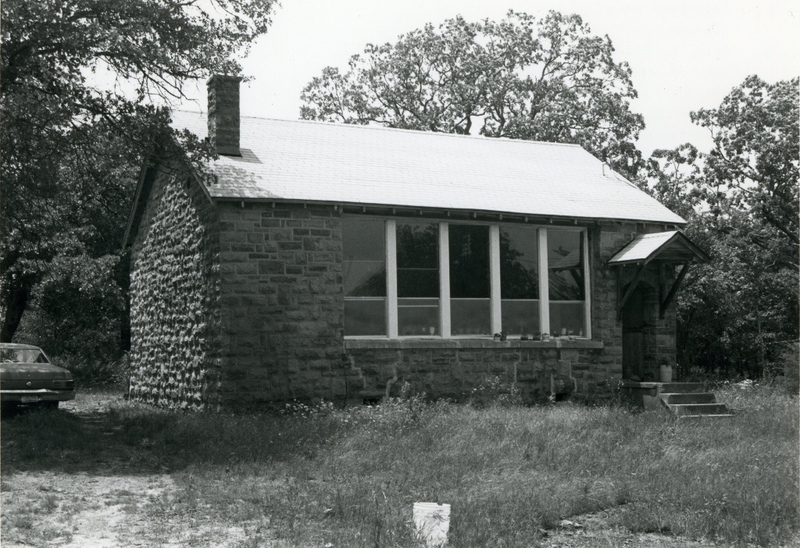 The classic one-room building, the Hulsey Prairie school is a single story, rectangular (24′ x 34′) structure constructed of rusticated and roughly coursed native sandstone. The roof, recently covered with composition shingles, is gabled; the east front window opening, with concrete sills and new panes, reaches to the eave; the front door is recessed behind an archway with a porch. 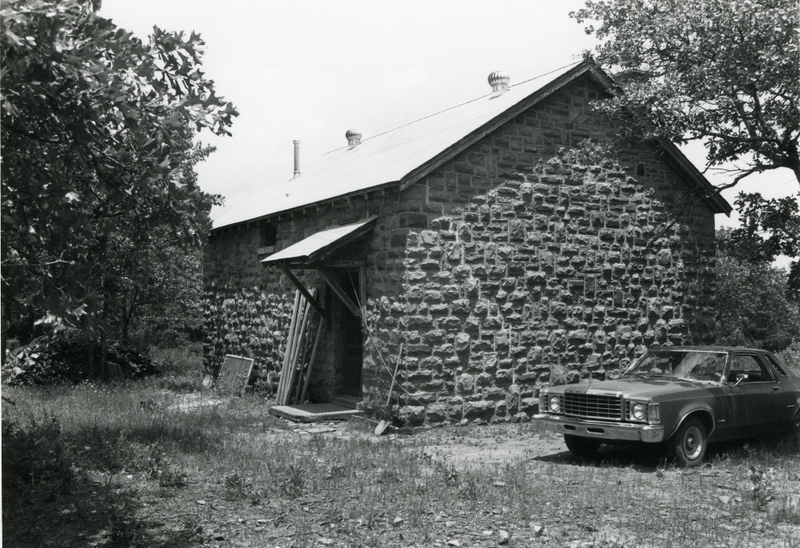 In a rural and remote area, the school building is significant because construction of it provided work opportunities for unskilled and unemployed laborers facing the possibility of starvation. It also created a new environment conducive to learning for students previously utilizing only temporary educational facilities. Architecturally the building is unique in the community because of its type, style, scale, materials and workmanship. 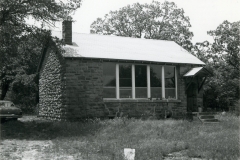 Moreover, it is one of the few one room school buildings constructed by the WPA that survives in relative good condition.